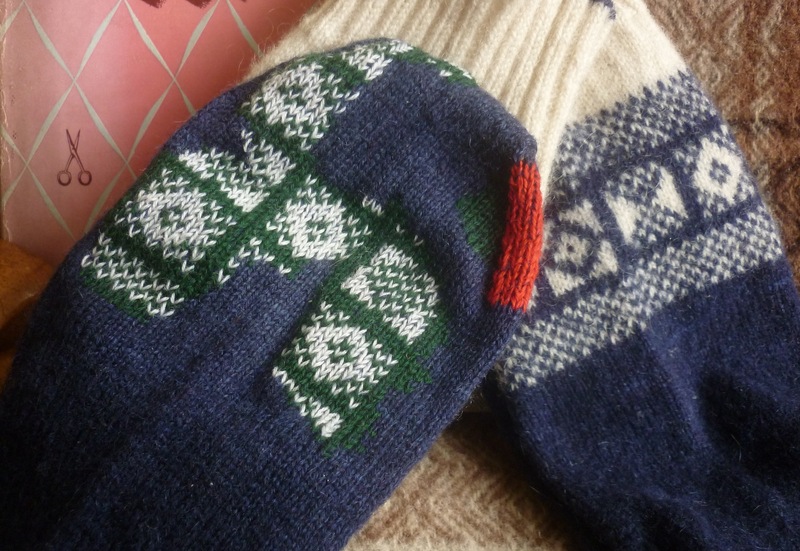 Such lovely socks are worth all the time you’ve lavished on them, and now they’re beautiful and extra-quirky! 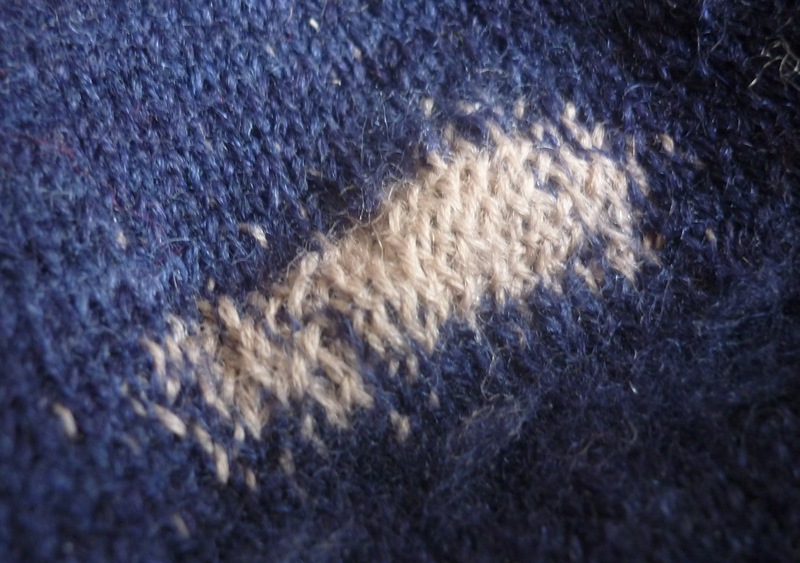 So much effort into knitting the socks deserves such beautiful repairs. Shame they have to be covered in shoes. I doubled over when you said eleven stitiches for an inch. 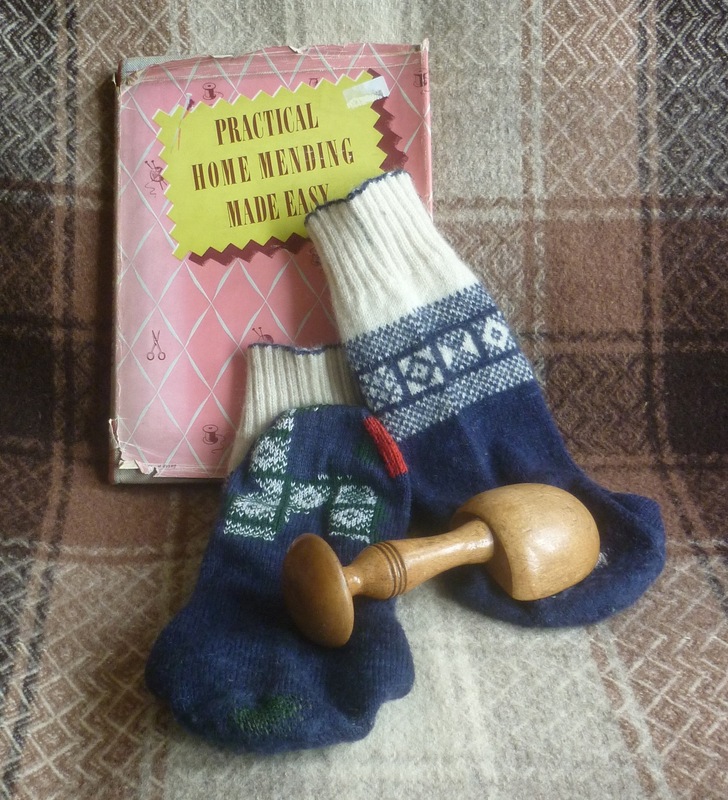 All that darning, I think I need to go lie down for a few minutes. 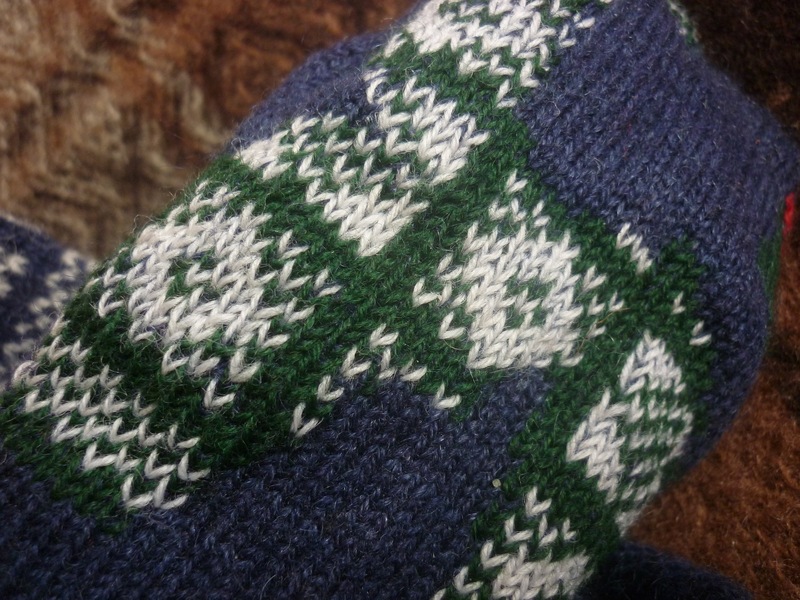 Estonian knitters would be most impressed with your stitch count. Many gloves knitted in traditional styles are created here with round-the-hand stitch counts of 190+ sts, so your Sanquar socks would be in good company! However in all the lovely mending I have witnessed here in Estonia (and photographed, especially with you in mind) nothing quite encapsulates the fine new invention of THE META DARN! Huzzah for the genius of this new idea, and how fine your newly-darned socks look. 190+ stitches for a glove??? I have to see that! 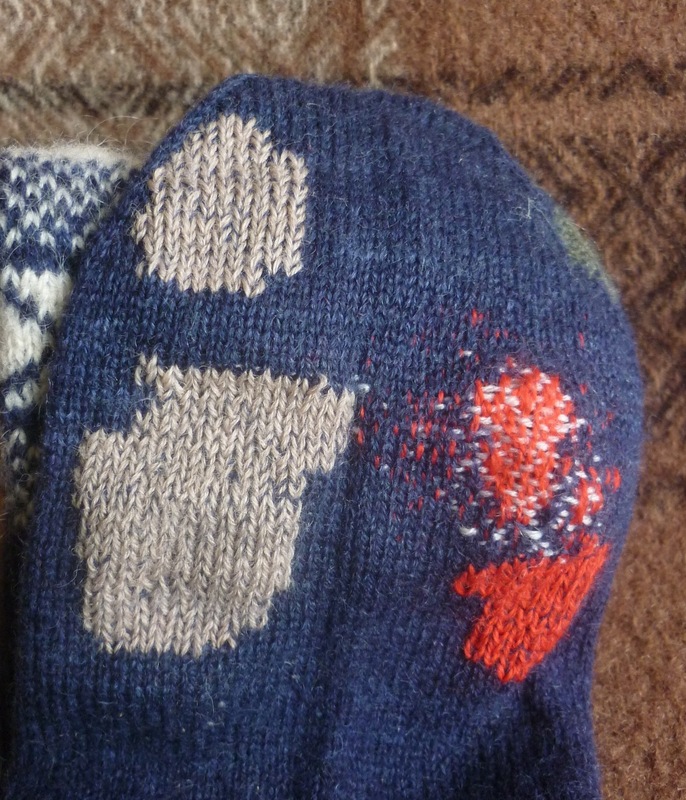 Luckily I have skinny ankles, so the socks measure 8in around, giving only 88 sts in the round. i have ordered this book thanks to you, and am still admiring amy’s lovely pastel darns on her old sweater. i am contemplating a similar project. i have seen, somewhere, artisanal post-modern mends made to old persian rugs. i have some that are nearly obliterated, as my mother liked them that way. i think some hand mending of them would make them wonderful. are you aware of any such project on line? with thanks for all your work on this. I have not seen any artisanal post-modern mends on old Persian rugs, but I’m most intrigued by the idea. I hope you’ll find the book useful. I also find it quite amusing. It’s patronising towards the poor husband who obviously can’t even thread a needle, but on the other hand it firmly believes a woman’s place is at home. As you would expect from a 1940s book. The repair instructions however, are clear, informative and well illustrated. Tom, I came to this post via your 2012 wrap-up. 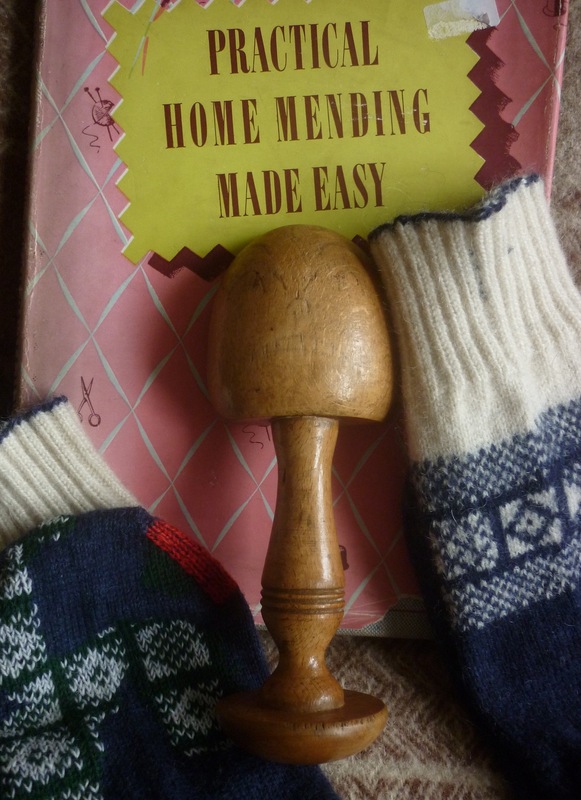 I very much love that darning tool, frowny face and all. If you think about it, doesn’t that darner’s comment make for its own “something of [her]self in her work?” Talk about your authorship and ownership! I think you’ve got a value-added piece of folk art in that tool!